Merry Clarkmas! This retro lunch box features Clark Griswold offering holiday greetings and is perfect for storing your what-nots and who-zits. 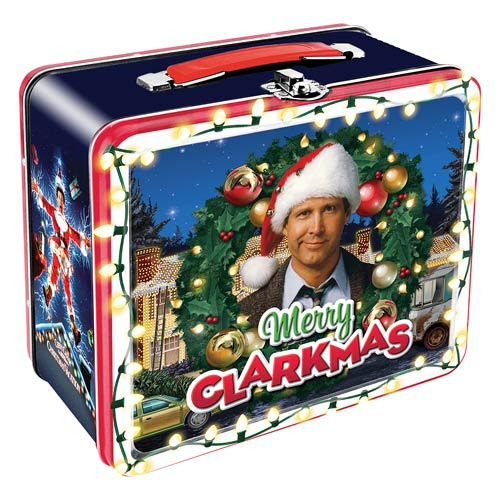 The National Lampoon's Christmas Vacation Clarkmas Large Fun Box Tin Tote measures approximately 7 3/4-inches wide x 6 3/4-inches tall x 4 1/4-inches deep. Ages 14 and up.